View of Square, Reading, Mass. "East side of Main Street at beginning of Harnden Street. Sign over large awning on left 'Waiting room - Bay State Street RR. 1992 - Salon Muffie." 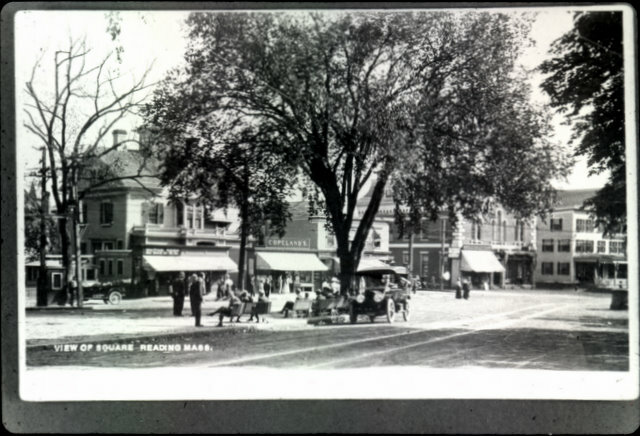 “View of Square, Reading, Mass.,” NOBLE Digital Heritage, accessed April 24, 2019, https://digitalheritage.noblenet.org/noble/items/show/2899.